Click here to visit their tab and like them. Then scroll down to the video and watch it. 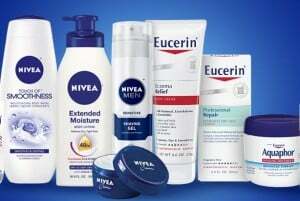 Once it’s over, you can fill out the form to request a free sample of Eucerin, Nivea, or Aquaphor. After you fill out the form, scroll back up to get the confirmation page.